Having begun as a semi-fictional band within the Eccentronic Research Council's concept album Johnny Rocket, Narcissist And Music Machine... 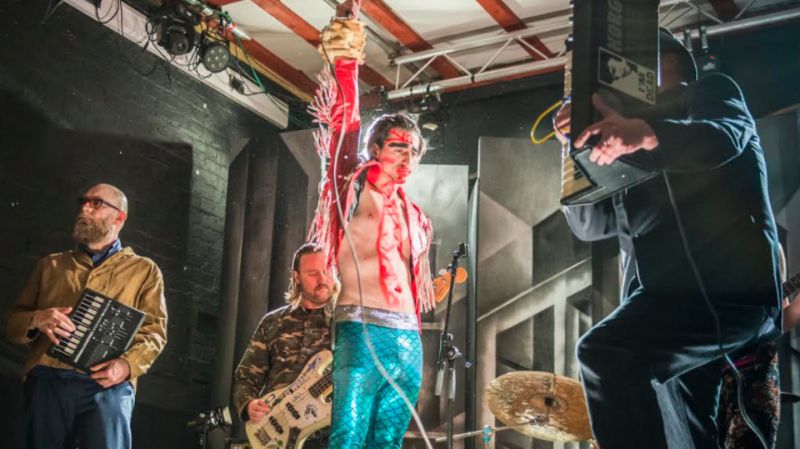 I'm Your Biggest Fan, The Moonlandingz are now fractionally less fictional and have announced their debut album Interplanetary Class Classics with a video for Black Hanz. The album will be out on 24 March 2017, and can be pre-ordered on LP (£20) and CD (£11) from our shop. Black Hanz can also be heard via our New Releases playlists and added to your library. To celebrate all this, the band are playing at Hoxton Courtyard next week, tickets for which you can get from themoonlandingz.com alongside details of their UK tour next year.